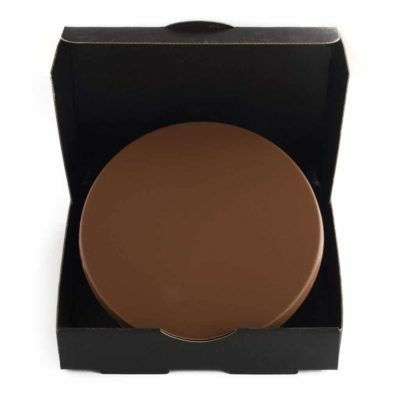 the chocolate is such amazing quality and I love the whole experience. Thank you Chocolab! I received two blocks of your fabulous chocolate for my birthday- they were gone within a day and I was on your site ordering more. I am very picky about my chocolate and was doubtful before I tried yours- but OH MY GOD- seriously the most smooth, delicious, creamy chocolate ever and to be able to choose what goes in- BRILLIANT!!! This company is the best thing since sliced bread! The chocolate is to die for and the ingredients list is everything you could ever dream of! As a chocoholic this is a dream come true! Have told everyone I know about it, cannot recommend highly enough! Beautiful chocolate, fabulous ingredients. Having to have a lot of self-control to not eat it all at once! Like silk in the mouth, and very addictive. Ordered a single bar, decked to the nines with various toppings, and it’s probably the best chocolate bar I’ve ever had! Arrived really quickly as well, which was a nice bonus! I love Chocolab! It is so great to be able to make your own creations. The chocolate itself is delicious and there are so many topping options to choose from. I got some made as Christmas presents and they went down a treat. Didn’t even last the day! Best chocolate i’ve had in a long time! I love all the options and the personalisation! I also love that you have different payment options and postage. So happy with my order and definitely plan to buy more! This was so much fun! The quality of the chocolate block is amazing, and not to mention the range of toppings!!! Will definitely be creating again! The kids loved being able to create their own chocolate blocks. Spencer was so incredibly helpful with the order process and very quick to respond to my emails. They even threw in a couple chocolate covered Oreos as a bonus, which were delicious. Will be ordering again! Taste is amazing, delivery was quick, customer service was brilliant. So impressed with chocolab! I’ve my custom made block. The Belguim chocolate is delicious. A first class product. I loved my custom made block. The Belguim chocolate is delicious. A first class product. I loved my custom made block. The Belgium chocolate is delicious. A first class product. Oh. My. God. Amazing! The chocolate itself is incredibly smooth and of high quality. The toppings are also delicious. Fantastic customer service and fast delivery. The only negative is that I found it so hard to decide on which toppings to add! great .Will order soon . Thank you! 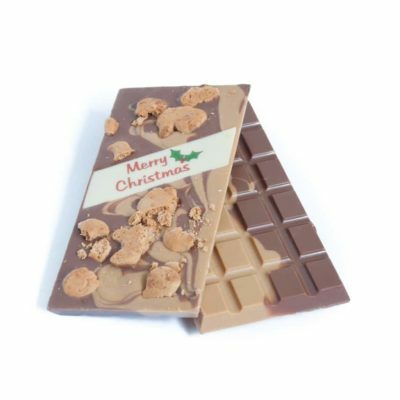 All our clients loved the chocolate and it was a unique way for us to say Merry Christmas. We may of had had a couple of blocks too, couldn’t resist! Very quick delivery to FNQ (Cairns) and the chocolate was in perfect condition not even melted one bit! My partner loved it. Would defiantly be using this company again. 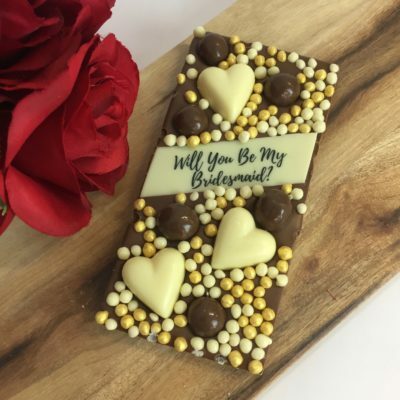 Boyfriend loved his custom block, combined with some dark chocolate drops and a heart chocolate pop, it was a fantastic Valentines present. Got creative and ordered some custom chocolate bars for Valentines day. Great care went into packing our order to ensure the bars arrived safely – bubble wrapped and packed with an ice pack to ensure they didn’t melt in the summer heat. I wish I could include photos in this review so I could show how great they looked! Definitely recommend ordering from chocolabs! My partner absolutely loved his custom chocolate bar that I gifted him for Valentines day. Even with the incredibly hot weather, the bar arrived beautifully intact and was truly delicious. We highly recommend the milk chocolate bar with Nutella and Oreo pieces. Thanks again Chocolab! My boyfriend loved his custom made blocks for Valentines Day! Customer service is amazing and the chocolate is delish! Thanks so so much, will be ordering some more! Was easy to create the chocolate bar and the person I sent it to absolutely loved it. Its a great idea! Love love love! Bought 4 bars and they all arrived in tact not melted and were absolutely delicious! The package was delivered to NT in 40 degree heat but upon opening the box you could not tell. I will be shopping Chocolab again and so will a lot of my friends. Thank you Chocolab! The chocolate was so delicious! Came packaged well and all perfectly intact. I’ve somehow managed to ration it over a number of weeks and it’s been super fun trying each different flavour that I created. I bought mine all for myself (no shame) but I’d definitely buy again in future as a great customised gift for someone else. I ordered 3 bars, one of each base with tiny teddies, turkish delight and others. They arrived in Tasmania in 2 days and the recipient adored them. The emoji’s are a nice touch too! Absolutely first class!! 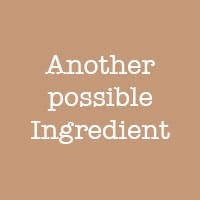 I love that you can create whatever your personal tastes are using quality ingredients!!! This is my favourite chocolate shop!!!! These make such a great and fun office birthday present! They always look delicious! My two customised blocks were fantastic. My only slight gripe is that I couldn’t find enough minty things to add to my minty milk block – any chance you could add busted up Peppermint Crips bars, or strong mints of some kind? Apart from that, the two bars are delicious. Thanks for offering such a fantastic service. My sister absolutely loved the bar I created for her birthday! Filled with our favourite childhood treats as well as a suitably embarrassing photo, it was perfect! And it arrived so quickly and in perfect condition! This is the third time I have ordered from Chocolab and I could not recommend it highly enough! 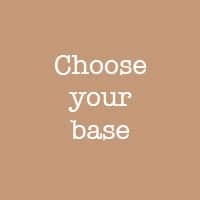 Design your dream chocolate bar online! Step 1: Choose from Milk, Dark or White. Step 2: Add your ingredients. Step 3: Chocolate delivered to your door! Want to create your own chocolate treats? 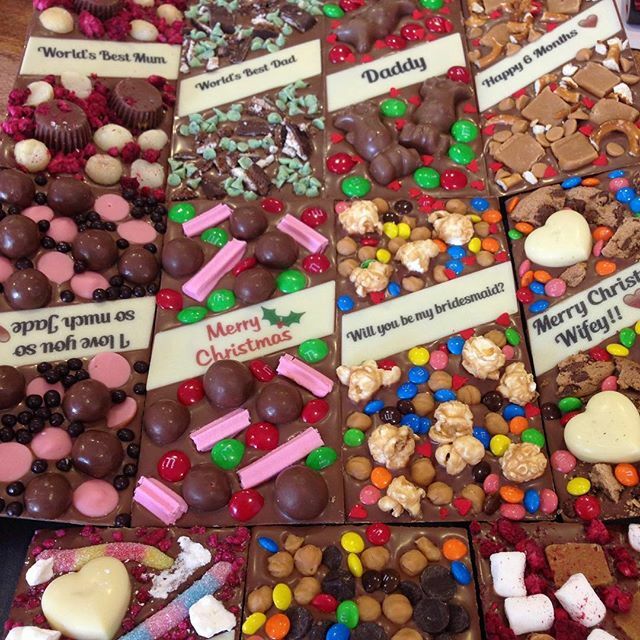 At Chocolab, you can create your own chocolate gifts, perfect for anniversaries, birthdays or surprise treats! Chocolab allows you to become your own Willy Wonka and make your inner chocoholic’s wildest dreams come true. Mix and match from a cornucopia of different flavours to come up with any number of crazy combinations. You can create an old favourite, such as salted caramel or rocky road, or be more adventurous, with flavours like Peanut Butter chips, Butterscotch, or Tim Tams! You can choose to mix in your childhood favourites, with a range of goodies such as musk sticks, jaffas, ovalteenies, gummy bears and more! Need some inspiration? Checkout our Instagram. Not sure what sweets your friend, family member or special someone likes? Let them create their own personalised chocolate. With our gift certificates, you can give them the opportunity to take part in the fun. So, if you want the perfect gift or simply want to treat yourself, create your own chocolate masterpieces today. Browse the full range of options at Chocolab now! For shipping times see our Shipping Info page.